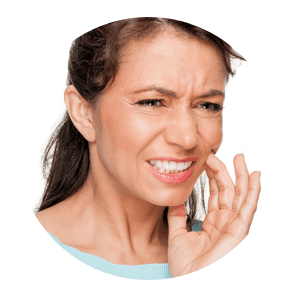 A toothache can ruin your day or week; it’s one of the most aggravating pains known. If you’ve done major damage, like had a tooth knocked out, it’s important to get help as soon as possible. The sooner we see you, the better the chance you have of saving your tooth. We’re here for you, day and night, seven days a week. Our dental clinic is open on Saturday and Sunday if you need us. Call us on 1300 721 184 if you need emergency dental work. If we don’t answer, please leave a message and we’ll get back to you as soon as possible. If we can’t see you straightaway, we can let you know how to manage your problem until you can see us (normally the next morning unless it’s urgent). Call 1300 721 184 now for your dental emergency. We have an affordable dentist available on Saturdays, Sundays and after hours for emergencies.